When the latest Marc Gafni thing blew up in September, Ken Wilber eventually issued a tepid statement of support and said he would make a final statement at a later date. Part of the reason Wilber was drawn into it was because Robb Smith, Diane Hamilton, and several other people all made a public break with Gafni. Integral Life ended its affiliation with Gafni's Center for World Spirituality and several teachers stopped working with him. Well, for Wilber, the date of his final statement came a week or so ago. 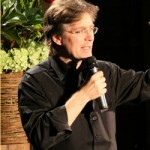 The board of directors of the Center for World Spirituality recently made a public statement, conveying their support for Marc Gafni as a leader and teacher in the Center. Earlier, in a post on the Integral Life website, I have commented on the situation that developed several months ago in the blogosphere. I acknowledged in that post that Marc, like most great spiritual teachers and pundits, has great gifts as well as human complexity. I pointed out that everyone must make up their own mind as to whether they want to work with Marc, or to be his student. I am writing to share that, for myself, I have made up my mind. I am rejoining the Wisdom Council of the Center for World Spirituality, to which I invited many of my colleagues to participate. I look forward to future work with Marc in articulating and evolving the contours of a World Spirituality based on Integral Principles. Some of my reasons for wanting to work with Marc are contained in letters I co-wrote with Sally Kempton in 2008. However, there is one piece I want to add. I am not working with Marc despite this last blogosphere explosion but rather because of his reaction to it. You can read the whole statement at the CWS site (free registration required). That last paragraph makes the whole statement more than a little suspect to me - Wilber did not co-write those previous letters, he gave Kempton and Gafni permission to use his name. So I suspect the same is true this time, but that really does not matter - he signed off on it. The "Wisdom Council" of the CWS, which seems to have a lot of different names than it did several months ago, has also issued a statement of support for Gafni. Gafni also issued his final statement on this issue, in which he still denies having done anything unethical or otherwise wrong - as is always the case, he blames the accusers for making false accusations and misrepresentations of the "truth." What I will say here is that a great deal of distortion, misinformation, behind-the-scenes manipulation, and outright untruth appeared in many of the statements and comments posted in some blogs. Active behind the scenes were some of the same folks who, over the years, have supported the ongoing dissemination of false complaints, interpretations and characterizations of my actions. (See Mariana Caplan’s article on False Complaints which gives some of the background.) Others used this particular circumstance to accomplish their own “political” ends, always of course under the fig leaf of more virtuous motivations. Shadow can never admit of itself so it always pleads other motives. Most of us are aware by now of how Internet discourse operates. As Jurgen Habermaas, Lee Segal, and other discerning readers of culture have noted, the blogosphere is a place where anyone can say anything, with no professional or ethical accountability required. As a result, devastating accusations are routinely and carelessly thrown about. Often, as in this case, no attempt is made to hear all sides, or even to check facts. As Ken Wilber has pointed out, there is often gross confusion between facts and interpretation of facts. Too often, as a way of propagating slander without being held responsible, the identity of someone posting comments on a blog is hidden under a cloak of anonymity or a pseudonym. It is all too easy for one person to post under a number of pseudonyms to create the impression that his or her opinion is widely shared. This has been the case in many of the blogposts that appear on the web about my personal life. Even when blogging is not anonymous or pseudonymous, the writer’s personal agendas in all four quadrants remain effectively hidden. In short, the blogosphere makes unchallenged character assassination far too easy. You can read the whole statement at the link above. As has been the case in all of the previous episodes, Gafni has found a way to spread enough accusations of conspiracies and other nonsense to convince those who did not have any investment in checking the facts to side with him. It appears to me that these folks (who often claim to be "integral" and not working from a postmodern, relativistic "mean green meme"), are willing to accept that truth has different versions and ethics are all situational, which is the only way I see that Gafni can still be endorsed as a trustworthy teacher. But at least the truth of so many women (and men) who have been injured by Gafni is out there for others to read and consider before entering into any kind of relationship with him. it makes me sad, that you are just commenting on the first third of Ken’s statement and leave the other two third – which I find the most important part – out of your "integral" view. 1) I'm not integral, nor do I claim to be. 2) I commented on the part that I found useful. The rest reiterates all the stuff he has said before, how Marc is doing all the right things. The proof is in the behavior, and the same behavior keeps resurfacing every few years. accept that with any kind of humility. Bill, I appreciate your exposing Gafni for the fraud that he quite apparently is. Wilber's endorsement should come as no big surprise. This is the same naive intellectual who raved that Adi Da was the most advanced spiritual leader of all time, and who has more recently raved about the "bad boy"methods of Andrew Cohen. Wilber, like most people who write about spirituality, wouldn't know the real thing if it were standing in front of him (mostly because the real thing does not write books or give talks bragging about how spiritual it is). To Gafni's supporters, I ask a simple question: forget all the philandering, the overwhelming evidence that he is as much a slave of his desires as the next person. What has he ever done that indicates to you that he is so spiritually advanced? And don't say, "I can just feel it when I see or hear him". By that standard, there are thousands of not millions of gurus out there, every one as advanced as Gafni. Let me also take this opportunity to give appreciation for your blog. I'm both a neuroscientist and long-time spiritual practitioner, and find much here of interest. Thanks Andy, I sincerely appreciate your support and perspective. Peace to you and yours for the new year. I realize I will draw the ire of Gafni supporters, but I don't think Ken authored that statement of support. I think it is another example of Gafni writing it and Ken agreeing to it. If you go read Wilber's statement from last Fall and then this one, it sounds as though they are written by two different people. The wording is all different. The statement from last Fall sounds like Wilber. This one doesn't. It's also interesting that Wilber finds this endorsement important enough to post on his personal blog (the first entry since last July) but no mention is made over at Integral Life. My guess is that this glowing endorsement will not be presented this weekend at ISE3. And none of the other Integral teachers are coming back on board with support. "I do not believe it is fair to ask a teacher to share the details of his or her romantic life, particularly if they are single, or even if they are in a marriage which will inevitably have years that are more challenging, with the mistakes that many human beings make occurring along the way." So it's okay for a teacher to have affairs? Because, reading between the lines here, that seems to be what you are saying. I'm not personally involved with this controversy in any way, but I've been following it with interest because I used to have a spiritual teacher that was accused of abuse. Why is Marc involved with so many women? This, to me, is the crux of the matter. Whether he intentionally abused or hurt them seems like it's probably in the eye of the beholder. It sounds like, in the least, he got involved with many women and left a trail of hurt feelings in his wake. I don’t understand why he can't see that even if these relationships are fully mutual, that it's simply not a good idea to be involved sexually with a bunch of people. This goes for anyone, but especially for spiritual teachers or people in positions of power. Why run the risk of creating a trail of karma that could harm your life's work? Maybe it's time for Marc to look at why he consistently seems to need to be sexually involved with many people. Changesurfer Radio - What Is Character?